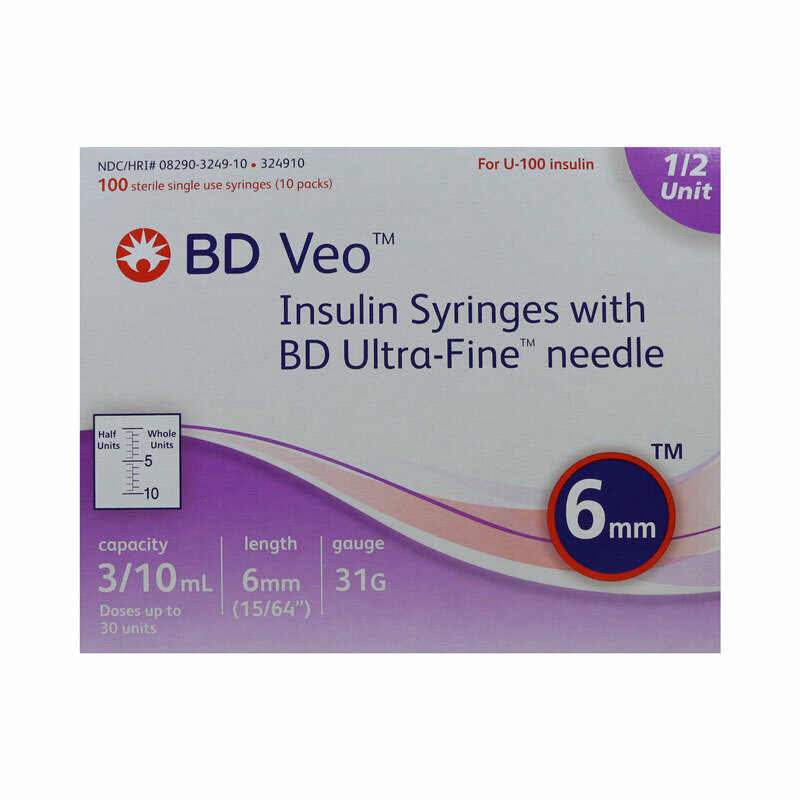 BD Veo Syringes 31g 3/10cc 6mm Half Unit Markings Ultra Fine Box of 100 are designed with comfort and are for 30 units or less. 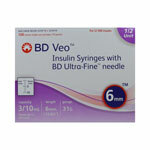 The BD Veo Ultra-Fine Insulin Syringes 31G Half Unit Markings are the shortest insulin syringe needle ever. The most innovative insulin syringe needle ever designed for maximum comfort. Easy-to-read half-unit markings: Bold, aligned numbers make it easier to read and draw up an accurate dose. Ultra-fine 31 gauge needle for maximum comfort. These BD syringes are great!! I use the BD Syringes for my (diabetic) "Sugar Baby" Abby. She's been diabetic since Jan 2016. These needles are very thin and short. She doesn't even react now. I so believe they are much less painful for her. She's a tiny girl so we needed a tiny needle. Thank you so much for making her shots a little less painful.